At our Diocesan Synod in October 2017, the Parkland Deanery brought forward a motion that “the Diocese implement a program of training on evangelism and church growth”. Bishop William emphasized at that meeting that we need to spread the good news of Jesus Christ. Our people are hurting, and the medicine is Jesus Christ. 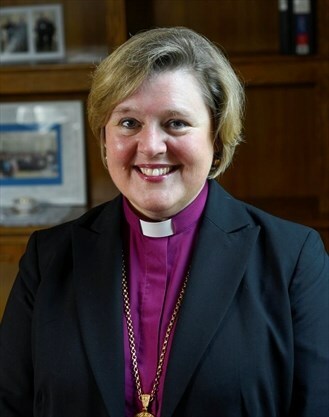 Together with Bishop Susan Bell, former Canon Missioner of the Diocese of Toronto, and new Bishop of Niagara, we will learn together how to take those first steps. We must recall who we are as Christians and to whom we belong. From the beginning, we have been a sent people and the purpose of our sending is to invite others into the communion of God. More importantly, we can recall what a spirit of invitation has meant in our own journeys. Invitation involves everyone – not just the clergy or lay readers, but it is every Christian’s responsibility – and GIFT. You do not have to be a “professional” to share your faith. Join us in conversation – one that we hope will inspire and equip you to share your faith, and to invite your family, friends, colleagues, and neighbours to explore a relationship with God for themselves.